Our latest pattern is the Hexie Sewing Kit. I first showed a photo of this over on instagram back in February. I then got busy with other projects and have now finally completed the pattern. It is available over in our Craftsy and Etsy stores. The Hexie Sewing Kit is a handy zakka style sewing accessory for crafters on the go. Made from polka dot linen and pretty floral fabric, it is embellished with pretty mini English Paper Pieced hexagons, lace, buttons, ribbon, and a leather patch. The inside of the kit features a piece of felt to safely store your needles and pins; and a pocket to store a pair of scissors, and other sewing essentials. These would be great to make for yourself, and would also make a sweet gift for sewing friends or to give to someone who loves to travel. They are lots of fun to make and a great opportunity to use some of those sweet embellishments and pretty fabric scraps you have been saving. The inspiration for this project came from the Sewing Kit (shown below) that was given to me as a pre-wedding gift so that I would have a sewing kit to take on my honeymoon. Over the years it has travelled with us to many destinations and it contains needle, thread, scissors, pins, buttons etc. It is showing signs of wear so I decided it was time for an upgrade. Everything looks better with Hexies! If you would like to make your own, you can find the pattern in our Craftsy and Etsy Stores. They are fun to make for yourself or for a friend, and would be perfect to include in a swap package. Just beautiful! I’m sure the pattern will be a huge success! 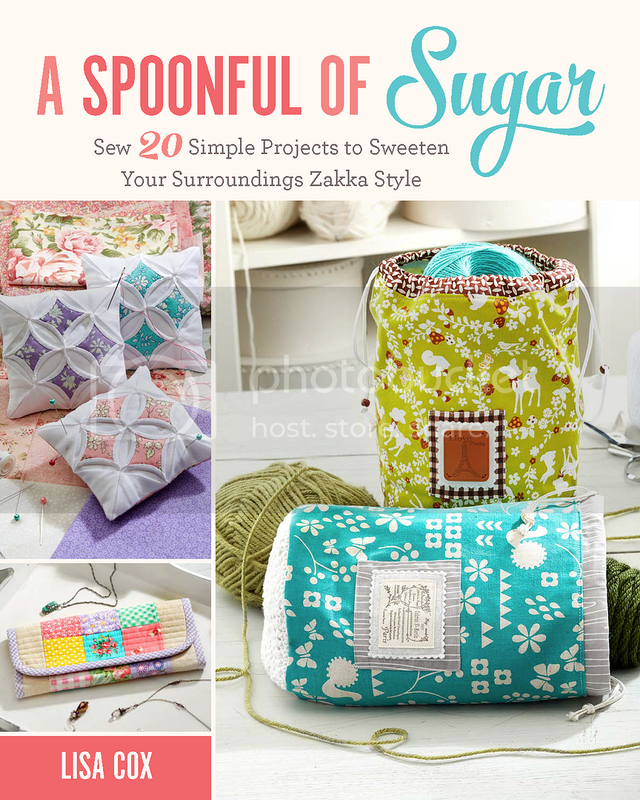 I’d really like to have this he ie sewing kit pattern but neither Craftsy nor Etsy will let me pay as a guest through Paypal- you have to have an account. I had a Paypal account once and had major fraud problems. I won’t have another account with them. Hi Beelizabeth – You can check out as a Paypal guest, using your credit card, and without have a paypal account. Check this helpful article here which explains the process in more detail. On my third sewing kit already! Love this project – its a perfect portable stitchy project for summer evenings over here in the UK. And your wedding gift is so pretty I might have to try and reproduce it for my next kit – just for variety! Very cute – I just may need to try it!